Now you can get the elegance of foil with the speed and personalization you’ve come to expect from on demand printing. 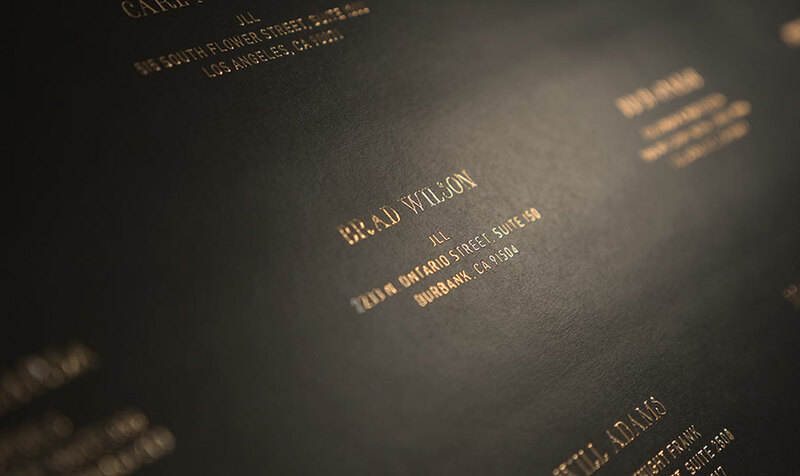 With variable printing you can design a highly targeted direct mail campaign or create personalized invitations for your next gathering with the stylish addition of foil. You no longer need to order 1,000 copies of a single form letter or direct mail piece to deliver to your customers. Variable data printing makes it possible to print 1,000 unique, addressed letters or mailers with customizable, personalized messages for each recipient. 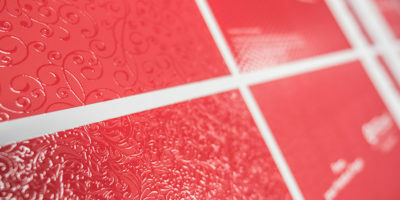 Embossing Plus is proud to announce that with our new JETvarnish 3D Evolution finishing press, we now offer the same level of customization in an eye-catching foil finish. This method of foil application is perfect for business cards or personalized holiday cards to send to your customers. Traditionally, foil application required a custom-made copper die, making customization out of reach. 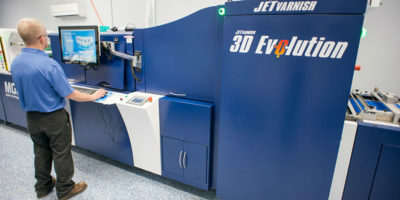 The JETvarnish 3D Evolution press far exceeds the speed of traditional foiling and offers levels of customization beyond what was previously possible with a completely digital setup. Variable printing in foil can be used for more than just text. We can apply detailed patterns and other designs and can cover more surface area while keeping prices lower than traditional methods. We also offer many foil options, including traditional metallic and colored foil. For increased impact, you can use multiple colors of foil in a single job or add embossing for a 3D effect. For example, you could add an embossed foil logo to business cards or stationery. Embossing Plus is committed to producing high quality print finishing at the speed of your business. 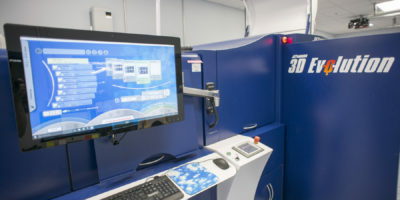 The JETvarnish 3D Evolution can produce variable data printing with foil, embossing and other print finishing effects in a single pass, saving you time and money. Contact us to learn more about the many applications for variable foil printing.